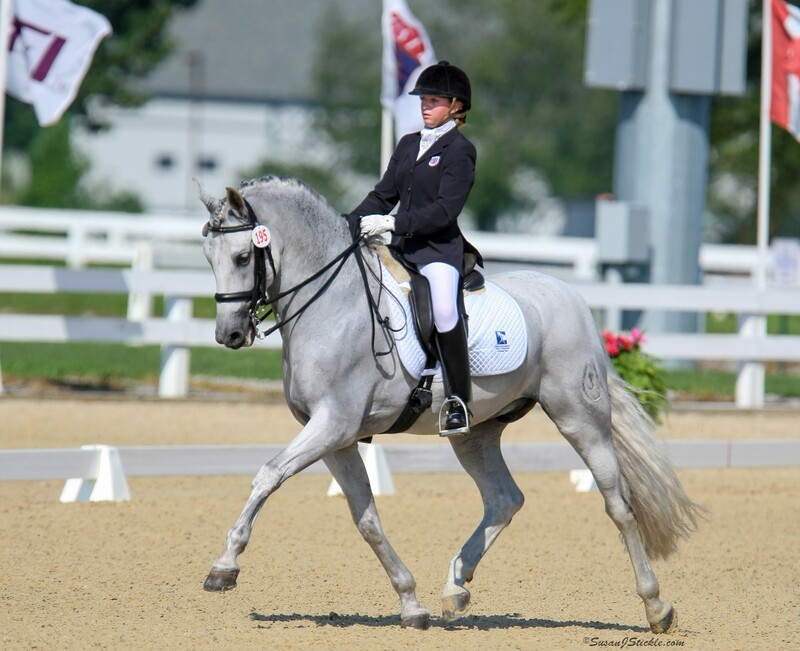 Lazelle Knocke’s name is synonymous with Dressage. She was a rider, competitor, teacher, judge, past president of USDF, and proudly for us, a member of the Board of Directors of The Dressage Foundation. Lazelle wanted to leave a legacy for the sport, and in looking at the menu of Planned Giving options, chose the popular Charitable Gift Annuity. Working with John Boomer, then President and CEO of The Dressage Foundation, Lazelle Knocke wrote a donation check in the amount of $100,000 in November of 2000. The Foundation, in turn, signed an agreement to pay her an annuity at the annual rate of 10%, or $10,000 each year for the rest of her lifetime. 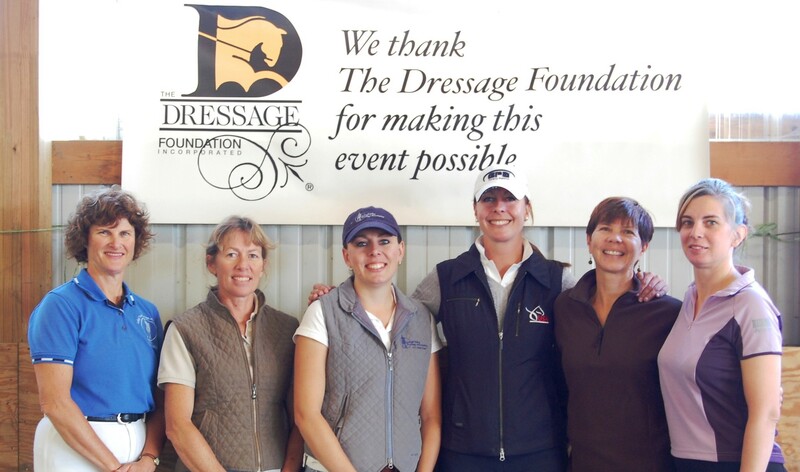 The Dressage Foundation pays Gift Annuity Donors from the rate tables recommended by the American Council on Gift Annuities, of which The Dressage Foundation is a member. Mrs. Knocke elected to be paid quarterly, so the Foundation sent her $2500 every three months for as long as she lived. The annuity rate is fixed and would not change during her lifetime. Lazelle has received and enjoyed her Gift Annuity income payments from The Dressage Foundation throughout her life. The Internal Revenue Service allowed Lazelle Knocke two solid tax advantages for making a charitable gift in this form. The first is a charitable contribution income tax deduction of $50,011 that she can take in an amount up to 50% of her adjusted gross income, and with five additional years over which to spread any unused portion. The second tax advantage is that of the $10,000 The Dressage Foundation would pay Lazelle Knocke each year, $6,410 (64%) would be tax-free. With these two major tax advantages, the effective rate of return on her Gift Annuity is 14.4%. “The Dressage Foundation will keep Lazelle’s Gift Annuity money invested during her lifetime, and will not use it operationally until after her death,” said John Boomer. He also points out that the Gift Annuity passes outside of Lazelle’s estate, so that there are no gift or estate tax consequences. 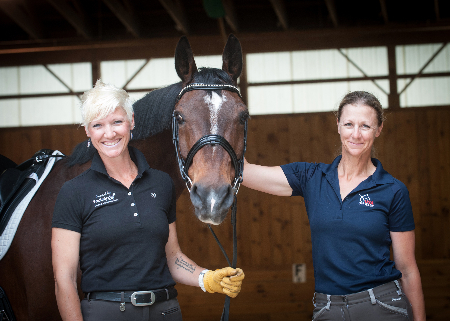 Lazelle Knocke requested that her funds eventually be used to improve the quality of Dressage instruction, judging, and Freestyle riding at the national levels. The Foundation’s Board of Directors in its stewardship role will see that her wishes are carried out. “This whole arrangement is truly ‘win-win,’ as far as I’m concerned,” said Lazelle. 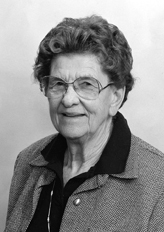 “The Gift Annuity helps me out during my lifetime with the fixed income stream and the tax advantages, and when I’m no longer here to need income, my money will help the sport of Dressage on out into perpetuity.” Mrs. Knocke told us that the funds for her Gift Annuity came from the preservation of Hobby Horse Hill, the family farm in New Jersey, to keep it safe from “eager developers.” “In this way, the farm will continue its legacy to the sport and art of Dressage,” she said. Century Club Team Number 1! Lazelle Knocke and her horse Don Perignon, hold the honor of being the number one team in The Dressage Foundation’s “Century Club.” Member teams are eligible to “ride down the center line” when the combined ages of horse and rider are 100 years or more.